Early-age thermal cracking occurs when the tensile strain, arising from either restrained thermal contraction or a temperature differential, exceeds the tensile strain capacity of the concrete. In high strength concretes autogenous shrinkage may also contribute to early contraction. 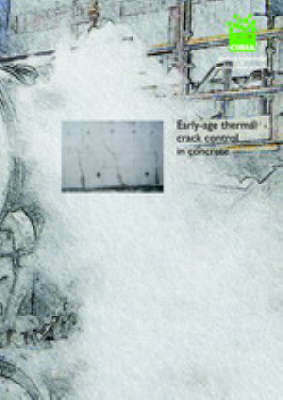 Numerous factors influence the risk of early-age cracking including the temperature rise; the coefficient of thermal expansion of the concrete; the restraint to movement offered either by adjacent elements or by differential strain within an element; and the ability of the concrete to resist tensile strain. This guide provides a method for estimating the magnitude of crack-inducing strain and the risk of cracking; and where cracking will occur. Guidance is provided on the design of reinforcement to control crack widths. Significant changes since the last revision to this report in 1992 include compatibility with EN 1992-3:2006 and EN1992-1-1 with regard to the properties of concrete and the design of reinforcement.